I’ve been out of the garden again to enjoy some of the other fine things in life… like traveling abroad with my spouse celebrating the opportunity to spend time alone together as well as the years we’ve been together (16). 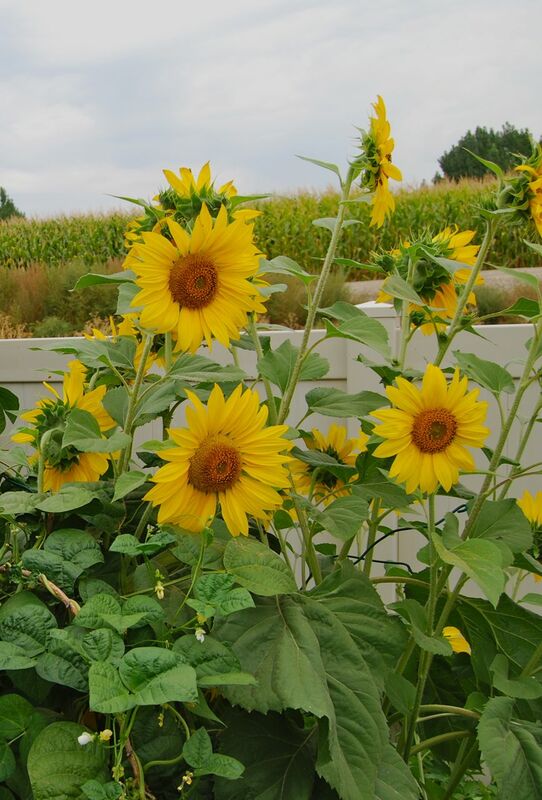 Our trip to France was fabulous and I was inspired by many of the simple gardens and plantings I came upon within the cities and small villages. Unsurprisingly, as we started our return trip home I started thinking about returning to my garden…wondering what fun surprises and possible mishaps would be in store for me. 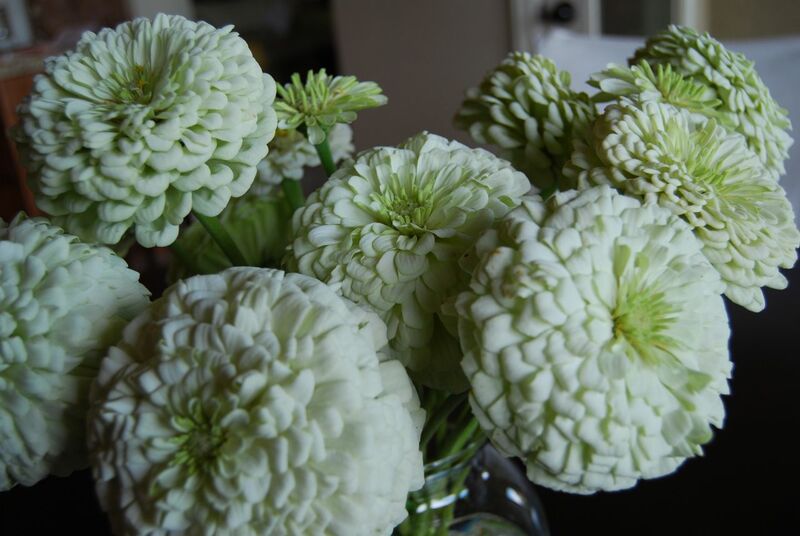 As I noted in earlier posts and have read on other garden blogs I like (Chiot’s Run) it is not a good idea to leave during the prime harvest season but with a little planning and some willing helpers it can be done. I relied on my mom to water things that needed some extra care and to perform the daily ritual of picking tomatoes. I don’t know if she really made it a daily ritual but when I returned there were bowls and boxes full of tomatoes placed around the kitchen so somehow it was done. One very surprising highlight were the strawberries. The day-neutrals are still producing and now sometimes I am finding BIG ones hidden amongst the leaves. At the risk of seeming too “engineer-like” I am showing just how big some of them really are. Why is this so significant to me? 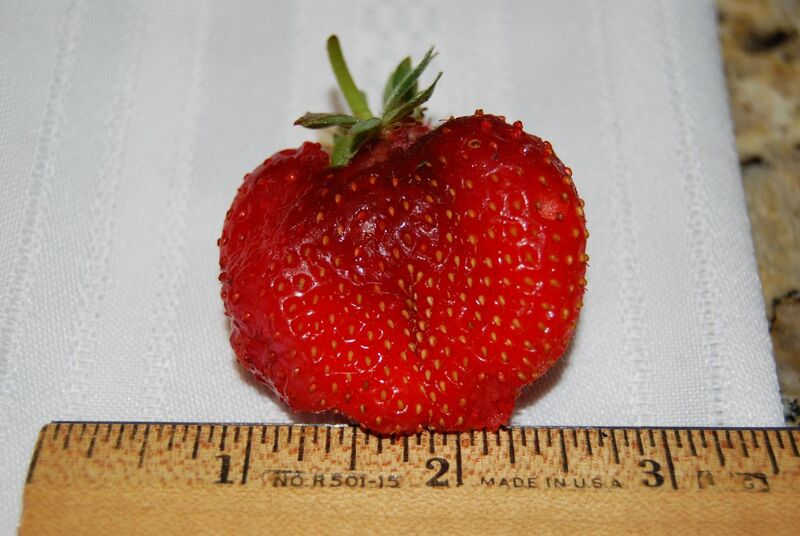 For the last few years I’ve been of the mindset that all the large-size strawberries you see in grocery stores are either genetically engineered or pumped full of chemical fertilizers and that strawberries don’t naturally get that big. But now, I realize strawberries really can get BIG…just look at this sweety! I am also very excited that my Tequila Sunrise orange peppers have ripened completely (peppers have a hard time getting started in my garden so sometimes they don’t reach their full color) and my ‘Polar Bear’ zinnias from Rene’s looked so beautiful that I just had to bring some inside to enjoy. So many things to enjoy and it’s all in a day’s harvest!!! How about you? What are you enjoying about your garden right now? Do you harvest a lot from your garden this time of year? How has this growing season been for you? 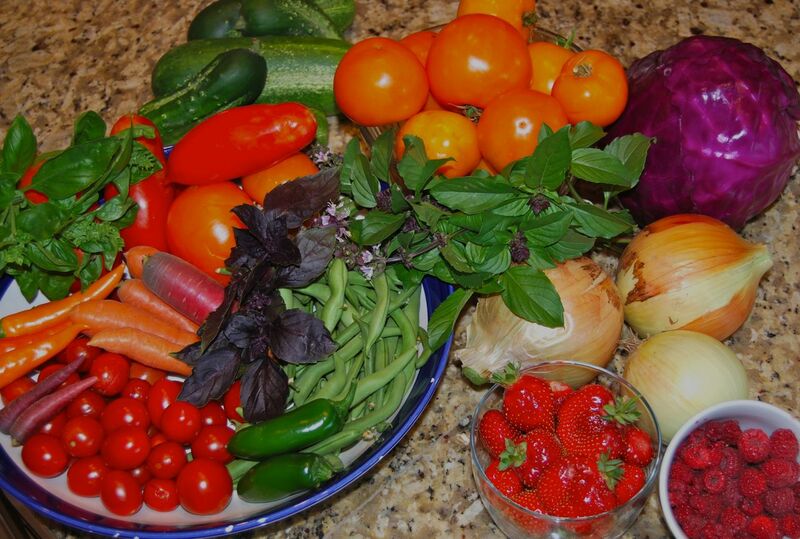 The beautiful colors of your “fresh” fruits and vegetables are amazing! Once again your site makes me hungry…but at least it’s for healthy foods! Welcome back! Yes.. the colors are amazing and look so delicious. I have so enjoyed the tomatoes I brought home with me and I leave them on the counter as my “snack food”. They are sooo good. Keep up the good work! All that produce looks outstanding! Have u ever heard of bountiful baskets? I love your sunflowers. I’m growing them in my garden and just waiting for their glorious blooming.